Everyone loves food This is just a fact. The food allergy community tends to shy away from including food as a necessary part of celebration but why not include it? With so many allergy-friendly options such as Crispy Green’s Crispy Fruit, we should be enjoying our foods. Snacking is not just for children, it’s somewhat of a ritual for adults as well. Consider your choices Most who are planning a Valentine’s Day celebration typically consists of a combination of sweet, salty and crunchy. This is not only an easy combination to put together with allergy-friendly snack items but it’s also the perfect way to introduce children to products that they may not normally try to eat. This includes healthier options that are disguised as a fun snack. Picky eaters may not be excited to take some apple slices but add freeze-dried apples to a bag or mixed items and see what happens. 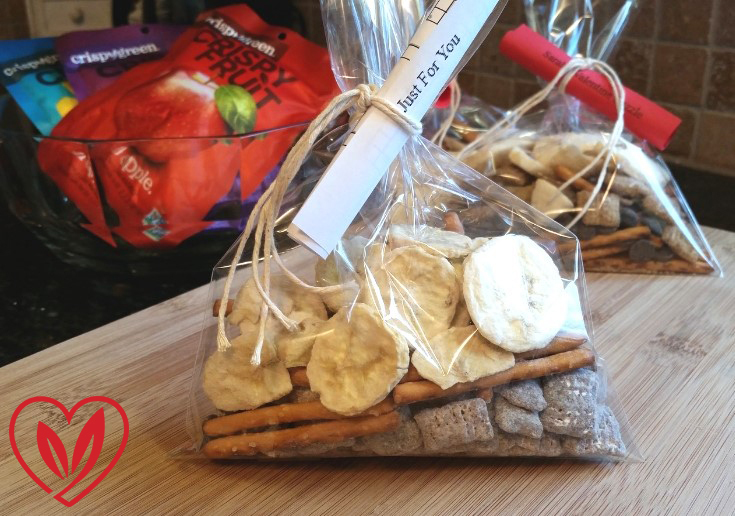 Stay within budget Everyone appreciates budget-friendly gift ideas to send with a bag of treats. Creating free and personalized items is simple, removes the need to purchase holiday-themed items that everyone else is getting and your child can help you (so extra points for bonding time). The cost of paper and ink is nothing compared to seeing how excited everyone is about their friends’ gifts while also staying far away from allergy triggers. Plan ahead Embrace your food allergies by remembering to read labels, always carry epinephrine and love the foods that you can eat. Why share multiple foods? Stick with safe foods for everyone to enjoy and minimize cross-contamination possibilities. Remind everyone to only reach into their own snack bag-sharing after you may have touched an unsafe food is also an allergy trigger that needs to be avoided. This is also where having personalized items is helpful to keep everyone from eating someone else’s snacks. Here is my recipe idea, give it a try! Be the parent that is remembered as the cool parent because you always have different and delicious snack alternatives. Educate others to empower them about food allergies as well as their knowledge of food options. Above all, remember that food allergies are not a curse, just a different way of approaching your foods. 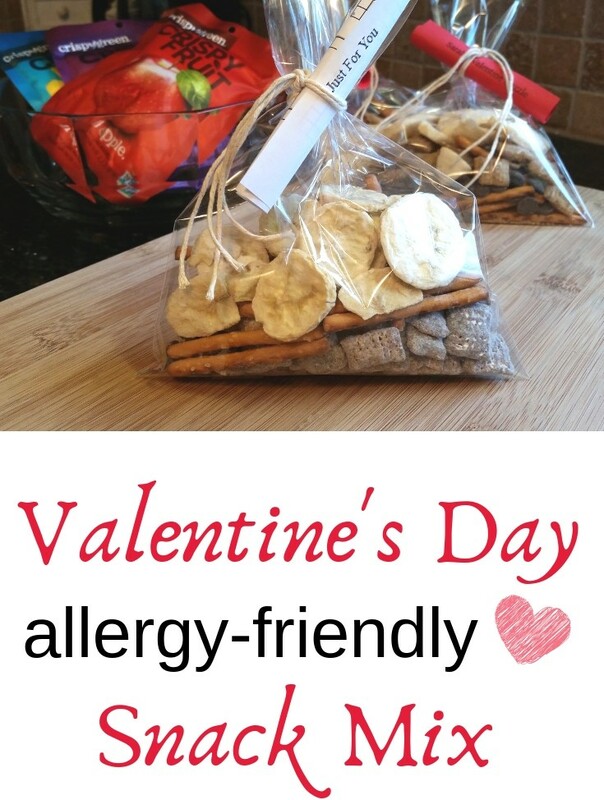 Your choice of allergy-friendly snacks such as the Safely Delicious brand. Optional: Include a personalized puzzle!